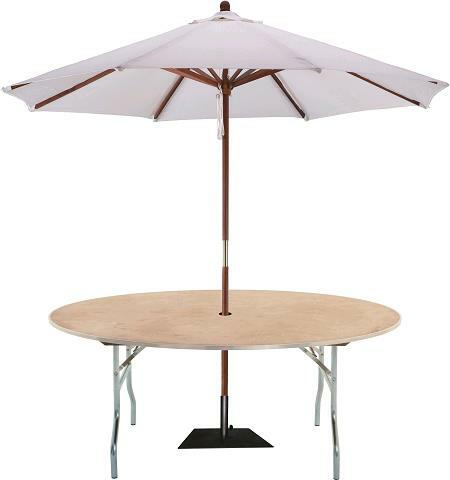 Package includes: Table, Umbrella and Table base. Natural color canvas umbrella with a two-piece wood pole and manual lift. Ask about special linens for this package. 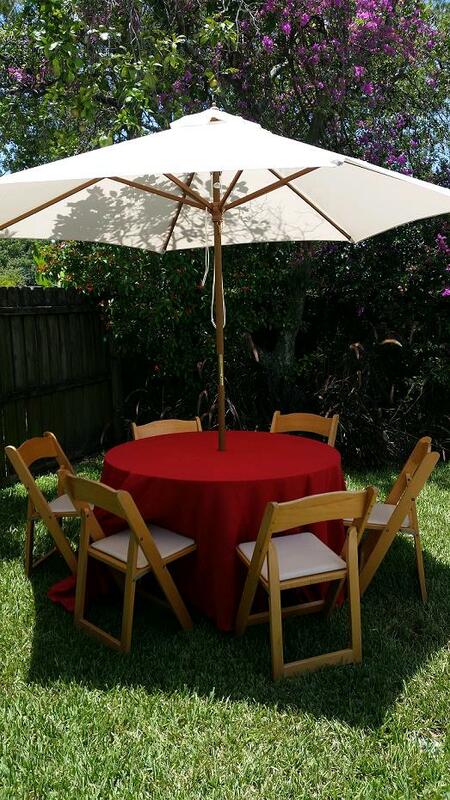 * Please call us for any questions on our table umbrella package in St Petersburg FL, serving Clearwater, Gulfport, Pinellas Park and the Tampa Bay Area.